Northeast Infrastructure, LLC, a certified Service Disabled Veteran Owned Small Business, was recently awarded a contract by the Department of Veterans Affairs to complete a study of the Northport Veteran Affairs Medical Center’s New York Campus potable water supply. 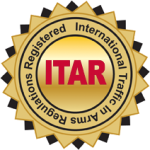 Under the $935,284 contract award, Northeast Infrastructure, LLC will identify all “dead legs”, the isolated sections on process piping no longer maintaining a flow of liquid, on the domestic water distribution lines, and also provide record drawings of the plumbing systems at the Northport Veteran Affairs Medical Center. The study will produce a full set of as-built drawings depicting the existing layout of the entire domestic water system of the Northport Center’s New York campus, comprising a total square footage of 1,100,000. Congressman Tom Marino acknowledged the fine work the NEPA Alliance is doing, and then stated, “I am thankful for what veterans have done,” as he made a presentation to Robert J. Suhosky, Col. (USA) Ret., the President of Northeast Infrastructure, of a flag which flew over the United States Capitol Building in Washington D.C.
Wayne County Commissioner, Chairman Brian Smith recognized Robert Suhosky for the contract award and his community support. Wayne County Commissioner Jonathan Fritz commented on a “job well done” and acknowledged Robert Suhosky, staff, and extended family as an example of a successful team. For more information on the NEPA Alliance PTAC programs and services, contact Frank A. Migneco, NEPA Alliance’s Government Procurement Manager, at 570-655-5581 or fmigneco@nepa-alliance.org. 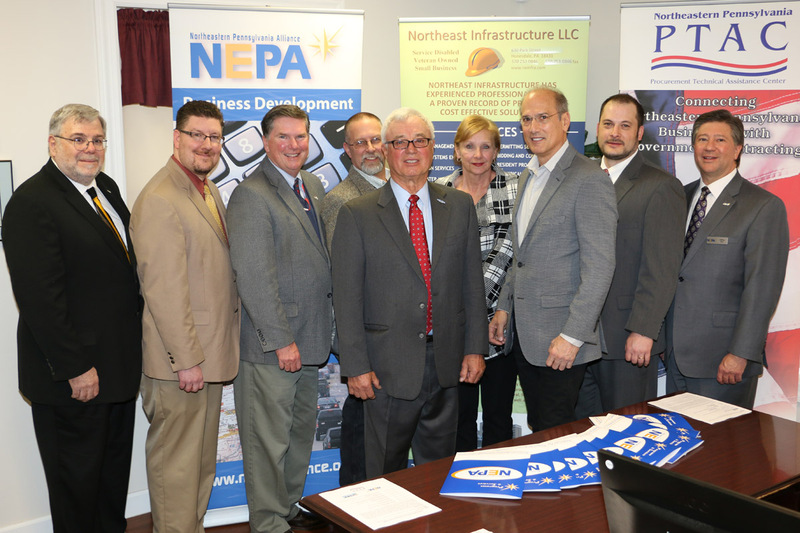 Pictured from left: Frank Migneco, NEPA Alliance; Andrew Seder, Senator Lisa Baker’s Office; Wayne County Commissioner Wendell Kay; Wayne County Commissioner Brian Smith; Bob Suhosky, Northeast Infrastructure, LLC; Karen Ostroskie, NEPA Alliance; Congressman Tom Marino; Wayne County Commissioner Jonathan Fritz; and Jeffrey Box, NEPA Alliance.